Elegant Build is a new aspect of the company which delivers projects for Elegant Homes and other development partners. The Elegant Build team add value through a combination of practical experience and academic qualifications, enabling the Client to realise their vision on time and on budget. As a design and build contractor, Elegant Build can manage a project from inception through to completion, using the latest Building Information Modelling (BIM) technology while offering substantial input to technical design and value engineering. 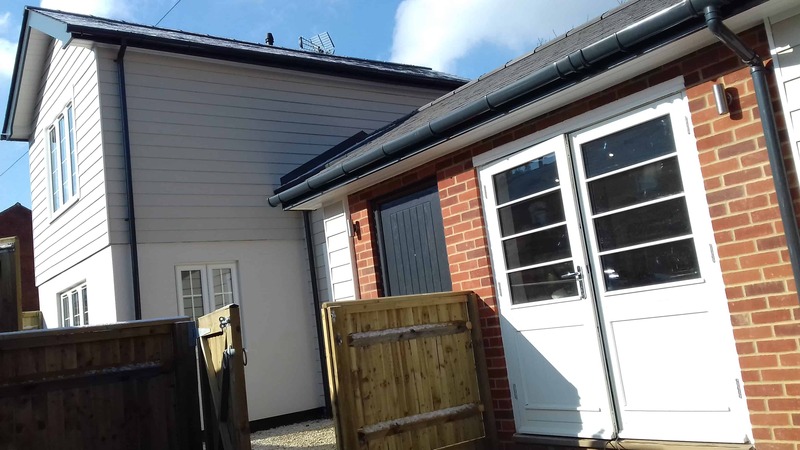 Whether you want to deliver a multi-unit site, a large bespoke home or renovate an existing property, we can provide solutions for the challenges a building project presents. We have replaced a poorly built 1970s house with a stunning new contemporary home. The living accommodation is in vaulted upper floor rooms to maximize the impact of this glorious setting. A tired 1970s house was stripped out, extended and subjected to a complete makeover to create a stunning contemporary home. A new contemporary riverside home was created, replacing an ugly single storey dwelling. A complete renovation was undertaken of 12A Shaftesbury Road. It was transformed from an old metal workshop into a modern, two-bedroom house. From Elegant Homes to Elegant Pavilions! We successfully took on the challenge of demolishing the old cricket pavilion in October 2009 and delivered a beautiful new building for the start of the season in April 2010. The official opening was conducted by former England Captain Bob Willis.